*Note: The currency’s details such as name, code and symbol need to be fill up in order to avoid transaction not able to process. 1. 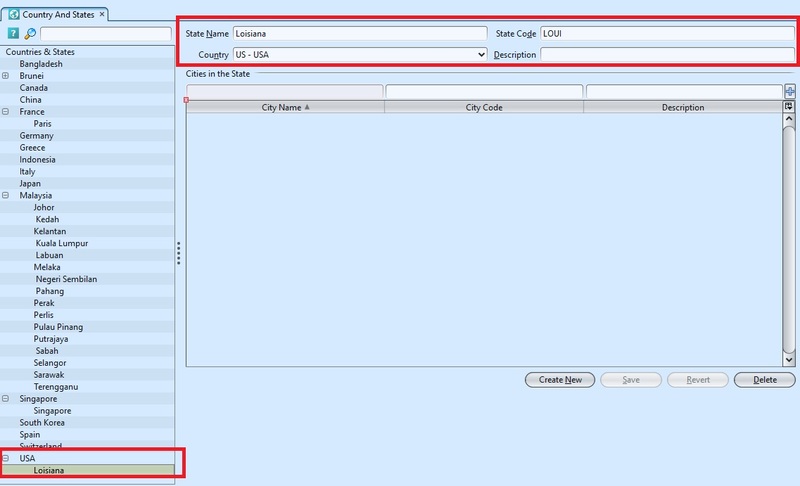 Select the country to add the state under the country. Click on “ ” to create new state. 3. Click “ ” or “Enter” to save it. 1. 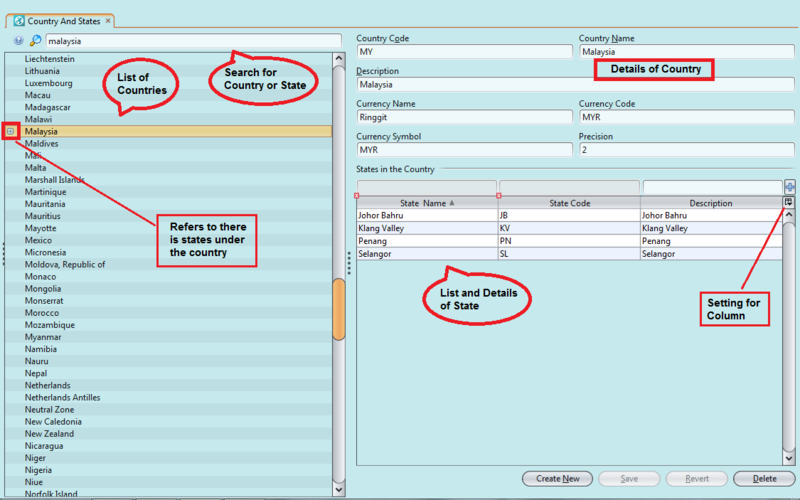 Select the state to modify in the list of state. 1. 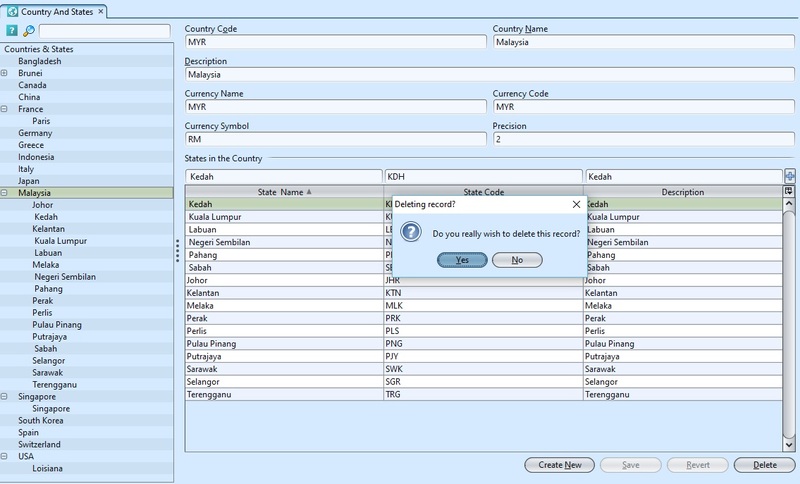 Select the state to delete in the list of state. 1. 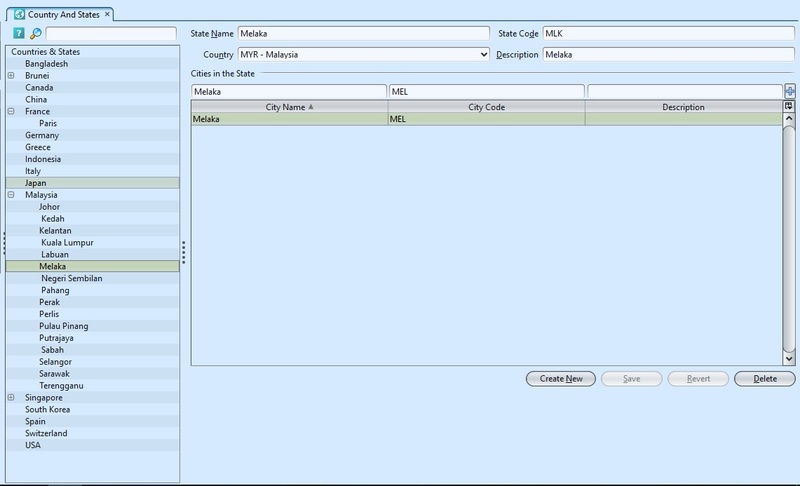 User need to created state before create the city of the state.